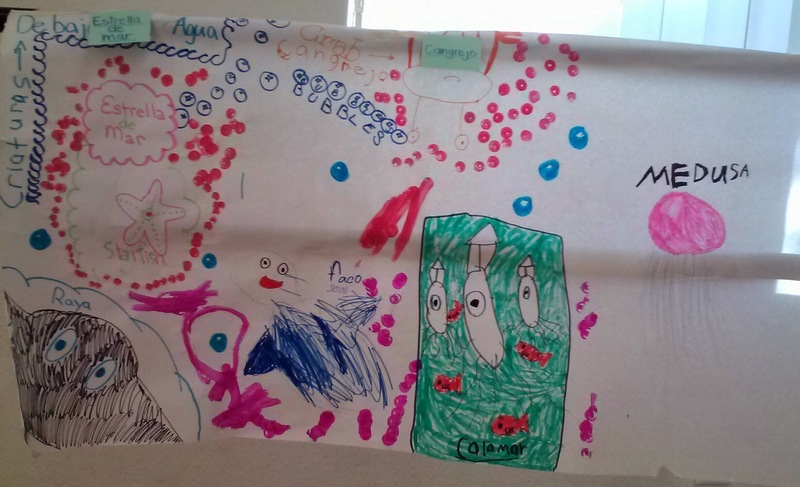 This week was a confirmation for me that children always work well with week projects. 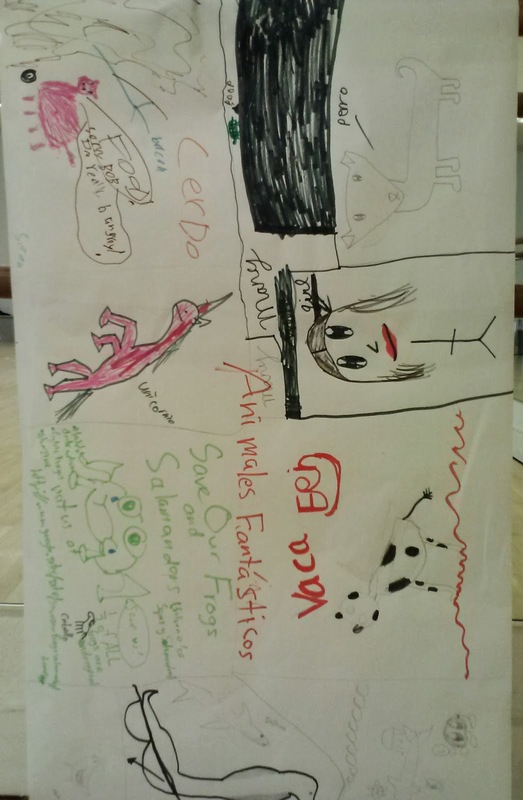 Instead of lecturing 30 animal names in Spanish, we created posters of animals. 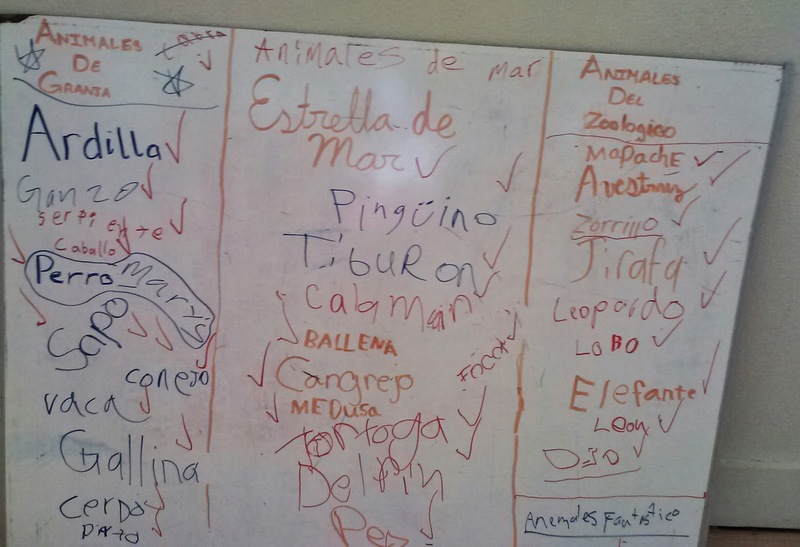 For three days, we worked learning 10 animal names each day in two groups: Grupo Uno & Grupo Dos. 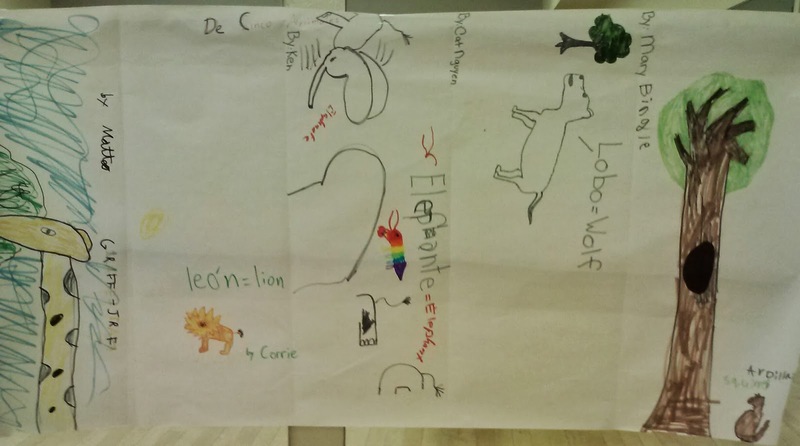 Each group had some 5+ animal vocabulary to be drawn on the poster. 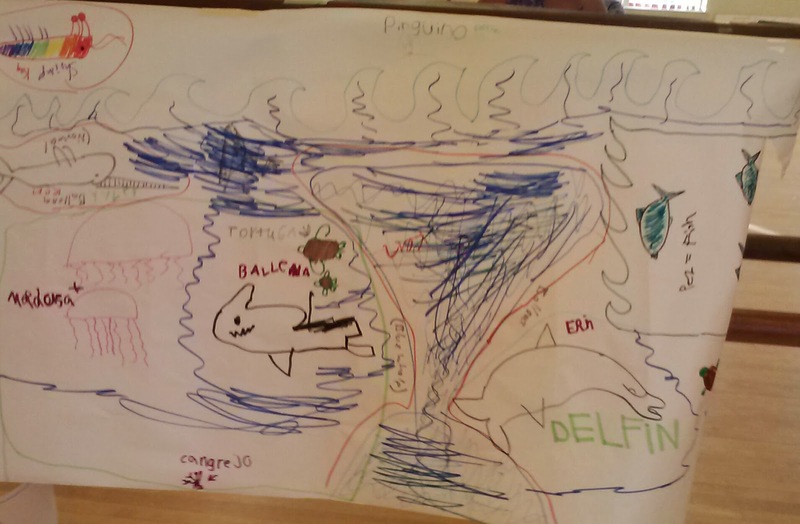 The students were actively engaged in the elaboration of the posters; in addition, the capitan of each grupo had to present the poster to the class by the end of our session. 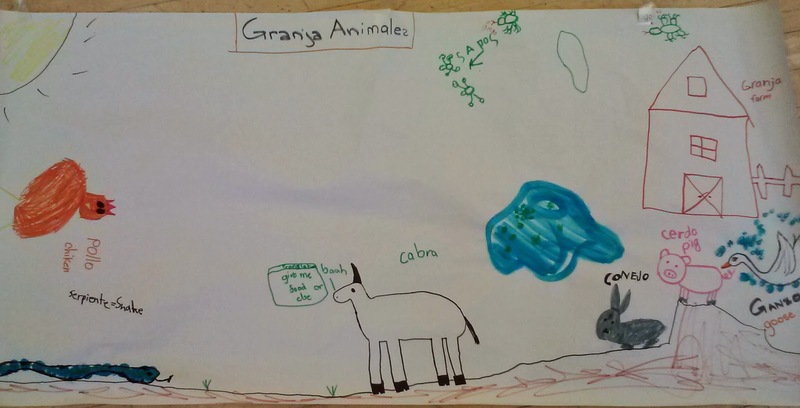 On the last day of the week, we reviewed all animals, practiced their pronunciation in Spanish and classified them into categories.